As we all know that protein makes an important part of our daily dose of nutrition and is an important component of every cell in the body. Protein is an important building block of bones, muscles, cartilage, skin, and blood. Protein is the main building element of most of the body structures. 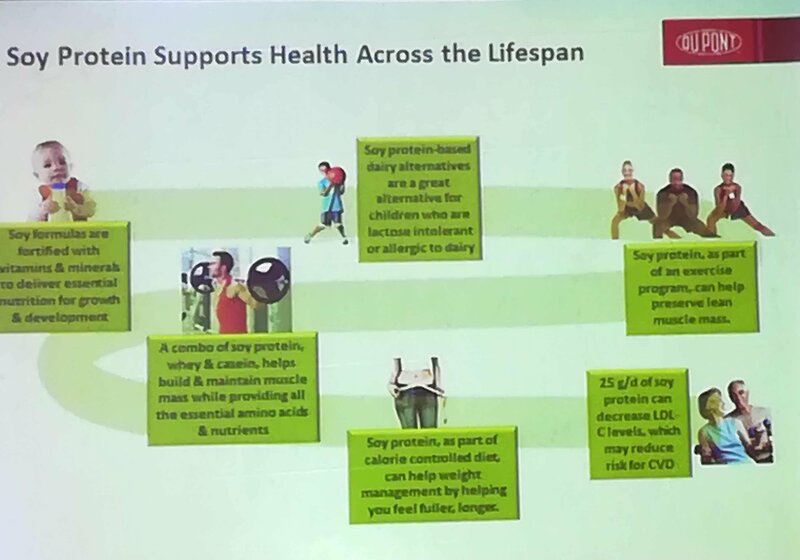 Knowing the benefits of protein and its different sources, When I got an opportunity to join the bloggers meet by DuPont Nutrition & Health and Ebix India, to learn about benefits and power of Soy Protein, I felt privileged to join in and was super excited for it. On 29th September 2018, I got a privilege to be a part of Bloggers Meet By DuPont and Ebix India to talk and learn about benefits of Soy Protein in presence of Mr. Indranil Chatterjee, Mrs. Karuna Jaikrishna & Mr. Sujith Sathyadas from DuPont Nutrition & Health and Dr. Namita Nadar from Fortis Hospital. Soy protein intrigued me a lot because I love soy in my food, be it soybeans cooked in our traditional Uttrankandi Recipes or soy chunks or soy flour in our food. Been eating Soy products since my childhood, I so wanted to know about the benefits of soy protein. Soy Protein is high-quality plant-based complete protein, which means it delivers all the essential amino acids in an appropriate amount to support growth and development. Soy protein has its unique health benefits and is must need across the lifespan. Soy Protein – Where Does It Come From?As we all know and can even tell by the name that soy protein comes from Soybean. Soybean contains only 36% of protein. Rest part contains mono & oligosaccharides, dietary fiber, oil and other content like moisture and ash. Isolated Soy Protein Is Simply Protein Portion Of The Soybean, Separated And Isolated From Rest Of The Protein. Isolated soy protein contains the highest amount (~ 90%) of protein as compared other soy products. PDCAAS is the globally recognized method for determining protein quality based on Amino Acid profile and digestibility. 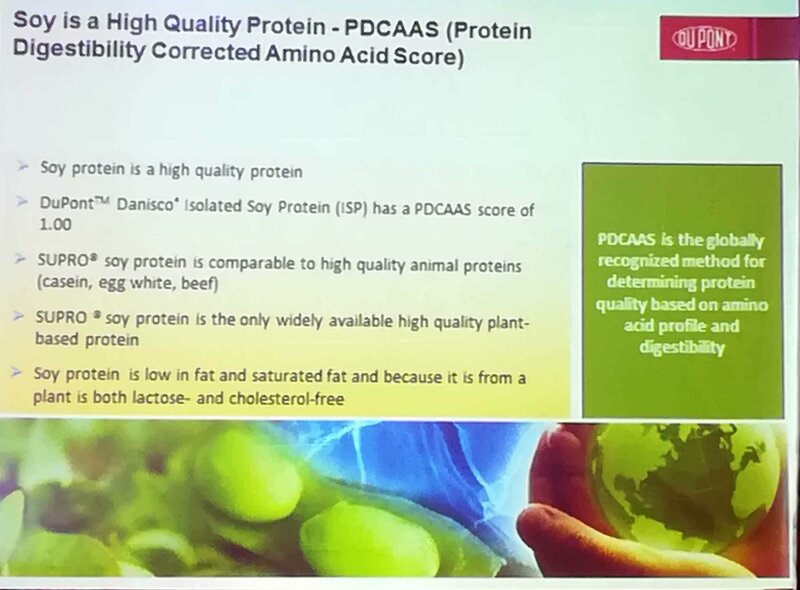 DuPont Danisco Isolated Soy Protein has a PDCAAS Score Of 1.00. Soy protein is comparable to high-quality animal protein and is the only widely available high-quality plant-based protein. Soy protein is low in fat and saturated fat and because it is from a plant its both lactose and cholesterol free. Soy Protein Support Health Across The Lifespan. Soy formulas are fortified with vitamins and minerals to deliver essential nutrition for kids growth and development. Soy protein-based dairy alternatives are a great alternative for children who are lactose intolerant or allergic to dairy. A combo of soy protein, whey, and casein, helps build and maintain muscle mass while providing all the amino acids & nutrients. Soy protein as a part of the calorie controlled diet can help in weight management by helping you feel fuller for longer. Soy protein as a part of an exercise program can help you preserve lean muscle mass. 25gms of soy protein as a part of a low cholesterol diet may reduce the risk of heart disease. DuPont Danisco SUPRO Soy Proteins Are Good For Child Nutrition. It also helps in establishing healthier eating habits. It also helps children in managing healthy body weight. DuPont Danisco SUPRO Soy Protein Is Suitable For Muscle Health. It is very effective for building muscles. Soy, whey and casein proteins blended properly may help in increasing anabolic window for increased growth and maximize muscle building. After workout consumption of Soy-Dairy blend prolongs the muscle anabolism. Soy Protein Also Helps In Weight Management. It increases satiety and aids weight loss. It also helps in retention of fat-free mass. It also improves weight management and aid in the loss of fat during calorie restriction. It also helps in decreasing abdominal mass during weight loss. Consuming soy protein as a part of low cholesterol diet, reduces the risk of heart disease and have some good impact on lipids. Soy Protein Also Addresses Risk Factors With Aging. It also helps in overcoming anabolic resistance and support muscle in the aging. It also helps in improving lipid levels and insulin sensitivity. It even supports liver health. Goodness and health benefits of soy protein are numerous. The intriguing session by DuPont Nutrition & Health gave me a detailed insight into the benefits of soy protein. I m surely going to include soy protein to my daily diet. About DuPont Nutrition And Health. 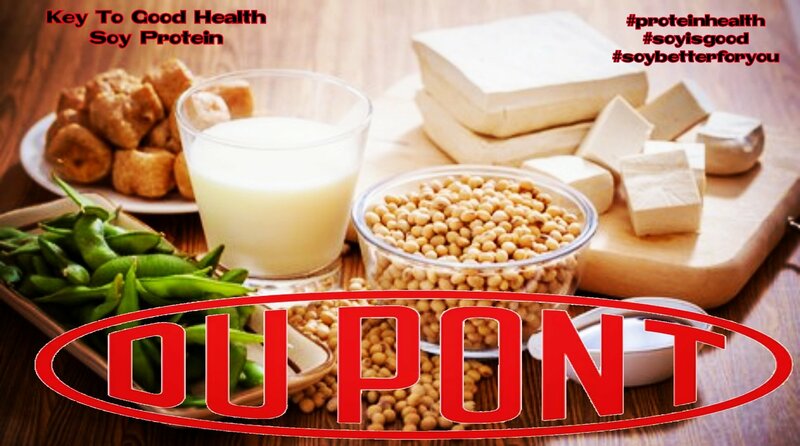 Dupont nutrition & health is a business unit of DowDuPont with in-depth knowledge of food and nutrition and provides probiotics, pharmaceutical excipients, system, emulsifiers, and protein solution. DuPont nutrition & health’s science and knowledge help manufacturers create food with a higher nutrition profile by reducing fat, salt and sugar or by providing additional protein. Doing that while at the same time creating a project that affordable for consumer and addresses the need for convenience in their busy life takes very specialized know-how, and that’s where DuPont nutrition and health at an incredible value. Disclaimer: Soy proteins are full of health benefits. Do consult a doctor before adding soy protein to your diet. Next Taste The Bubbles At Dr. Bubbles. Eat Healthy, Stay Fit – Post Pregnancy Diet Plan. wow this is looking like a great brand and I agree soy protein is a great source of plant protein. thanks for sharing all detail info. it is really useful. There is no doubt that soy protein is full of health benefits , will gonna add in my diet and my kids too. Being a pure vegetarian, soy protein is the best plant based protein for me and my family, I always include soy in my cooking to give complete nutrients and amino acid to my family, now looking forward for soy based snacks. Yes its a very informative post which is much required in our daily life. Protein is indeed play an important role in diet. It’s a great and in-depth analysis of Dupont. I am going to follow your tips. Soy protein is something we need in our daily life. Hope it was a great event and you all have enjoyed a lot! Even I didnt know all these about this. Protien is really imp for us. Soy protein is a great option for vegans like me who cannot eat non vegetarian food! I have been taking soy protein since January and have really loved it! It was quite an informative event. Soy protein is one source of all essential amino acids , I’m sure to add up more of soy in my diet. I didn’t know about soy protein, although I am a regular protein user and know its benefits. will check their website soon. That’s such an informative blogger event. I love soybeans. It’s a great alternative source of protein for those who do not eat non vegetarian food. Amazing and insightful post. Very useful benefits of Soy Protein for the nutrition. Soy protein is one source of all essential amino acids. 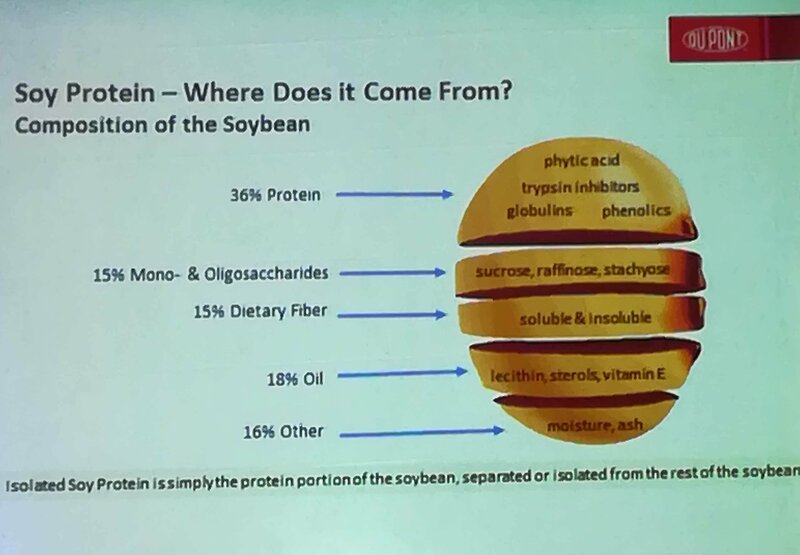 This is so informative event of Soy Protein by #Dupont #EbixIndia Great thoughts. I am sure I left a comment here but I am sorry I think it ddI not get posted. I did not know that soy can assist in weight loss and that it is fortified with so many good things.